Pictures guided by estimate lines. Work Authorizations ready to sign. Estimate Visualization was designed to offset pressure of insurance company's photo documentation demand, requesting proof for every estimate line. 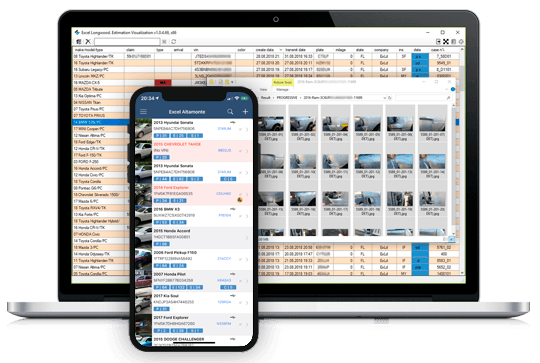 From being a simple instrument, allowing users take, organize and retrieve pictures of the vehicles they are working on, it expanded to a constantly evolving system, used from vehicle drop off to delivery and more. EstVis server works on Windows. Mobile clients are available for iOS and Android. Register and add users. Download and install server part. Get mobile clients. Enjoy. Every picture taken is accessible for your local area network users, making it easy to collaborate. 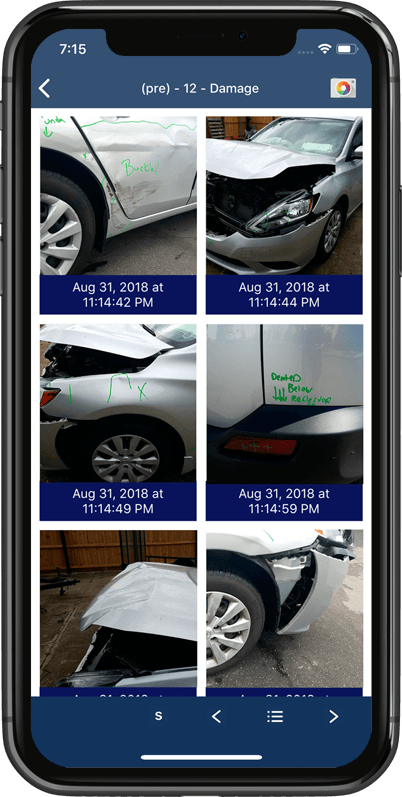 Techs/QI can always check damage and UPD pictures as well as estimates from their mobile devices. VIN numbers and paint codes are available as well. 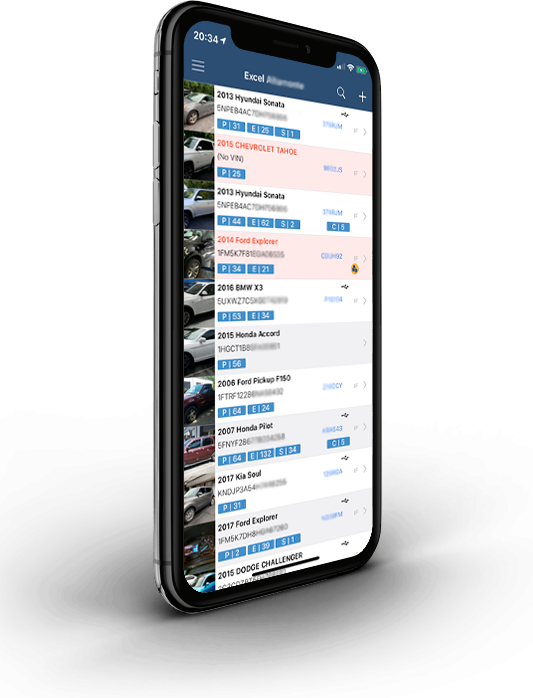 Pictures are organized in folders by Insurance company and Year_Make_Model of the vehicle, making it easy to find on the shared drive and select to upload to insurance company or share them with customers. "Set up" pictures templates for different insurance companies. Estimate lines guidance. Supplement pictures with email notification and audio notes. Estimate line "stamps". Tech made supplements generate a notification email to estimators, containing pictures and optional audio notes left. Techs can take a picture, record what they need and continue working. No more annoying interruptions, no missing labor on the estimate, no wasteful walking and talking. Why do you need EstVis? Unique tool, made for BodyShops, based on their needs, constantly developing, taking most important requests in consideration. Electronic Work Authorizations minimizes customer's frustration and/or employee's time by pre-filling fields with available data. Makes professional impression. "Set Up" photo templates makes it easy to take photos according to insurer guidelines at vehicle drop off by any employee. Document damaged, poor fit, wrong parts received, generating supplement email to the estimator. No parts will be forgotten, or missing. No estimator's interruption. Retrieve damage/UPD photos for review. 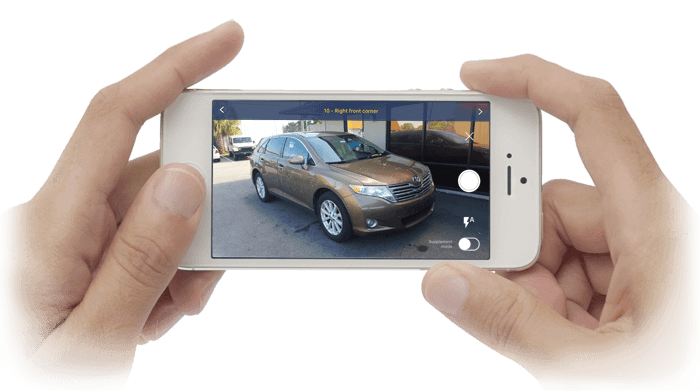 Notify customer through SMS/e-mail that the vehicle is ready by taking "Complete" pictures. Document additional labor performed or parts needed. Leave voice messages attached to the pictures. Eliminates walks/search/wait for the person in charge. Emails instead of multiple verbal requests at the same time - everything will be addressed by estimator, increasing $ and cycle time. No need for printed estimate. No need to take pictures in order. No need to write down supplement notes (take supplement picture and optionally leave a voice note). Receive emails with supplement requests from entire shop. HD pictures available on the spot, for any customer's concerns, should they arise. © 2019 EstVis. All rights reserved.